No matter how "evil" Google gets, rest assured that Microsoft has done worse. I should give some of Microsoft's history on here sometime, that would be fun. Let's just say that you don't get to the top of the Business software game by being nice. Google still has a sense of humor, although it's been getting dimmer over the years, and their April fools jokes are more about highlighting their newest product than having fun, and the Google Doodles are more about public relations than about celebration. But, compared to any of the older corporations, Google is as playful as a puppy. Google is a friend to Linux and Mac. Because of the other markets that Microsoft is in, they cannot afford to be nice to Linux or Mac, and the more "features" they have that are incompatible the more people who will be unhappy with a move away from windows. Enter Silverlight, .Net, ActiveX and all of their other web products. Try using IE9 on anything but the newest Windows. 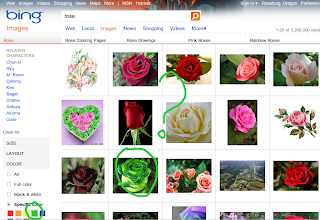 And, I'm using Google Chrome on my Ubuntu box to write this post. Lastly, Google's results are better. I have a fun example for you all, and I know it's nothing but one example, but it shows what each company thinks of getting relevant search results to the user, and really, at the end of the day, that's what we are all looking for. 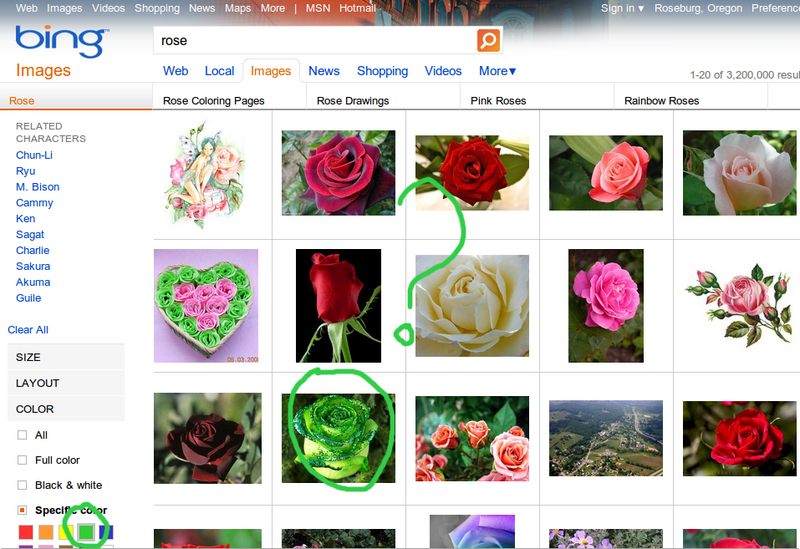 Bing has ONE green rose out of fifteen results. 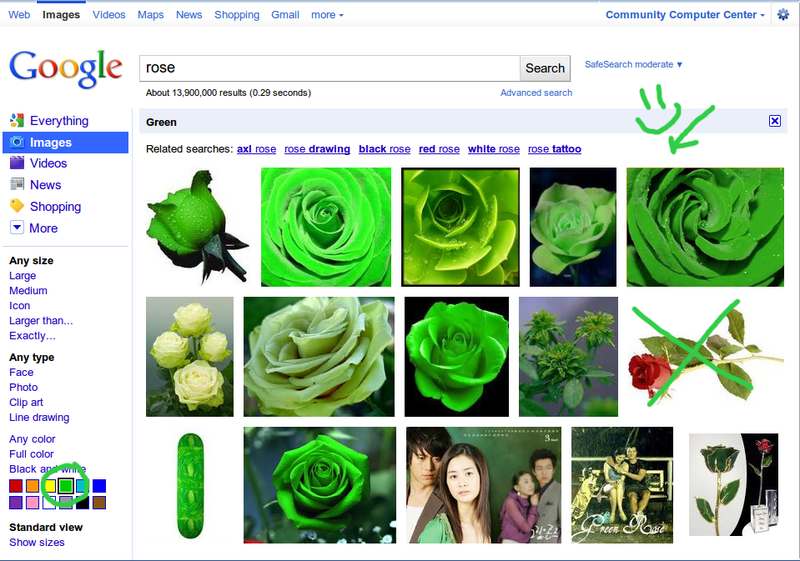 You get better results searching for green rose in the first place and ignoring the color filter. 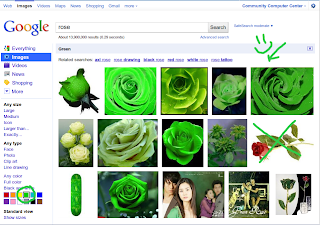 Google has twelve green roses, two pictures from the movie Green Rose, and ONE rose that is not green. Like I said, this isn't a rigid test, just one example I stumbled on while working on a lesson plan. And yahoo or Microsoft is 3-4 %. There is no competition at all. They aren't trying too hard for quality searches.